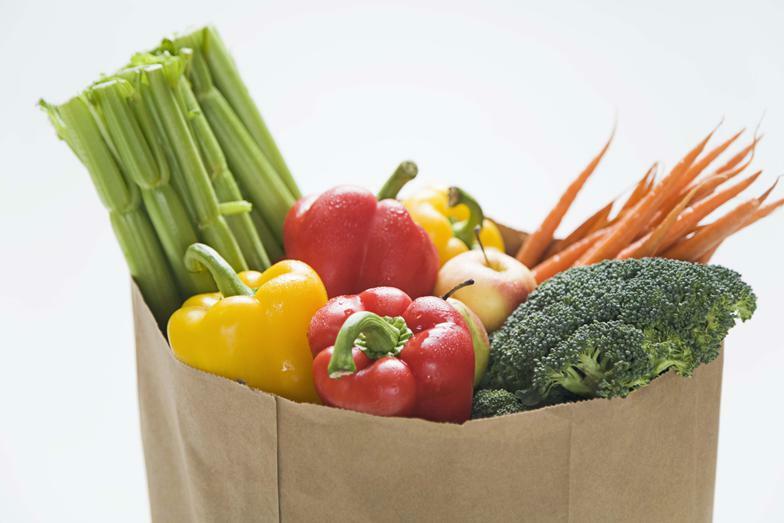 Both juicing and blending are excellent ways to add extra fruits and vegetables to your diet. 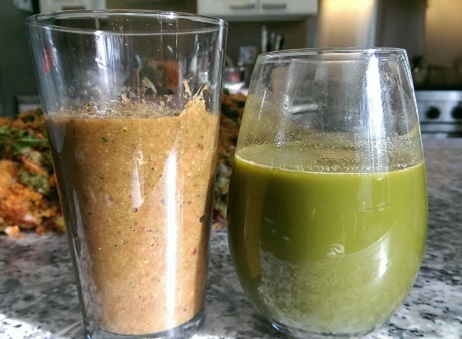 Here is the difference between juicing and blending. Juicing removes almost all the fiber (pulp) from the fruits and vegetables and leaves you with liquid that can easily be absorbed by the body. Without the fiber, juice is extremely concentrated with healthy vitamins and minerals to help nourish your body and flood your system with healing phytochemicals. The low fiber content of juices also gives your digestive system a break. Some naturopathic and holistic healers recommend a juice fast when you are trying to heal from a health condition. During a juice fast, the digestive system is resting, allowing your body to use it’s healing energy on other systems of the body. You should always consult with your health practitioner before starting a juice fast. 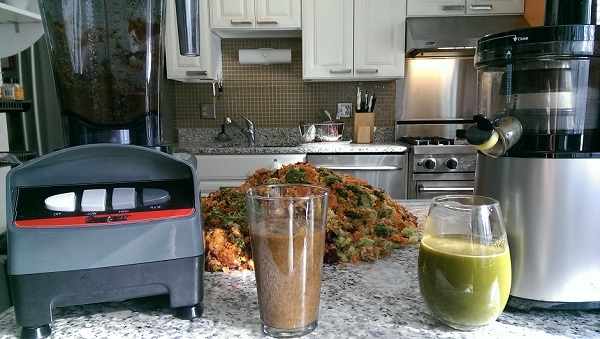 Blending involves mixing fruits and vegetables in their whole form and leaving the fiber in the drink. When you make a smoothie, you typically use a blender. Smoothies are great if you are trying to add more fiber to your diet. The fiber in fruits and vegetables, contains no calories, and is what adds the bulk to a smoothie. Fiber slows the absorption of sugar into the bloodstream and can help keep you full longer. You may have also heard the term, emulsifier. Emulsifiers are basically fancy blenders that blend the food and fiber into very tiny pieces. It’s important to remember that an emulsifier is not the same as a juicer, because the fiber remains in the liquid. So which is better you might ask? Well, it depends on your goal. If you are looking to supplement your current diet with more fruits and vegetables, blending a smoothie for breakfast is an excellent option. You might also choose blending if you want to add more fiber to your diet to try to lower your cholesterol. If you have some hip pain from running and want your to give your body time to heal, a juice fast is a great option. A juice fast is also beneficial if you are trying to lose a significant amount of weight. When you juice, you get tons of plant nutrients in their most concentrated form and you tend to lose weight more rapidly.